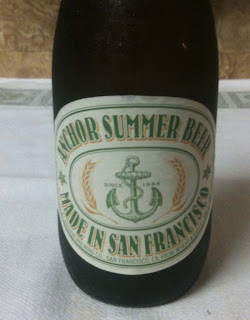 Tonight's sampling will be the Summer Beer from Anchor Brewing Company. Twelve ounce bottle. The web site shows 4.5% ABV. This is a seasonal, available April through October. This beer poured with a medium, white head. 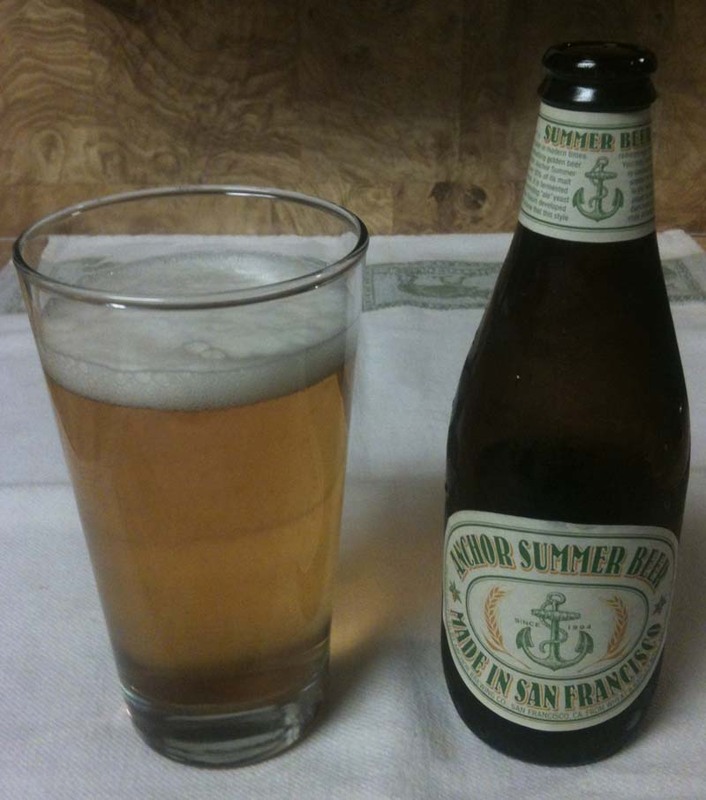 Beer color is a medium golden yellow; bright and clear. The aroma is fairly mild, with some wheat/grains, spice and a little fruit. The taste has malt, grass, sweetness, grain and a little citrus/fruit. There is also a small amount of bitterness. Medium bodied. Good amount of carbonation; somewhat effervescent. The aftertaste leave you with some grass/grain and a little bitterness.